Average sold price for 1,500-1,999 sf single family residences in December 2017 was $372,000, a 10% increase over December 2016. Average sold price for 2,500-2,999 sf single family residences in December 2017 was $560,000, a 11% increase over December 2016. Average sold price for 1,500-1,999 sf single family residences in December 2017 was $424,000 a 3.9% increase over December 2016. Average sold price for 2,500-2,999 sf single family residences in December 2017 was $571,000, a 11% increase over December 2016. Average sold price for 1,500-1,999 sf single family residences in December 2017 was $489,000, a 2.3% increase over December 2016. Average sold price for 2,500-2,999 sf single family residences in December 2017 was $612,000, a 13.5% increase over December 2016. Average sold price for 1,500-1,999 sf single family residences in December 2017 was $360,000, a 11.5% increase over December 2016. Average sold price for 2,500-2,999 sf single family residences in December 2017 was $499,000, a 8.5% increase over December 2016. Disclosure: All reports are published January 2018, based on data available at the end of December 2017. All reports presented are based on data supplied by the MetroList MLS. The MetroList MLS does not guarantee or is not in anyway responsible for its accuracy. Data maintained by the MetroList MLS may not reflect all real estate activities in the market. Information deemed reliable but not guaranteed. Sacramento Bee, "Will Sacramento home prices keep rising in 2018? ", click here for full article. Last year saw rising prices in Sacramento-area real estate as buyers competed for a tight supply of homes for sale. What will 2018 hold? The Sacramento Bee asked three experts in different fields of real estate to help predict market conditions in the coming year. Sacramento Bee, "Will Sacramento avoid another housing boom and bust? ", click here for full article. A Short Video About Kevin and Nakano Realty, click here. Seller Resource Center, click here. Buyer Resource Center, click here. Thinking About Investing in Real Estate, click here. 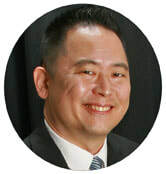 Contact Kevin Nakano For Free Consultation Today!